Weight: 130 grams / 4.58 ounces - contains lots of metal shavings. 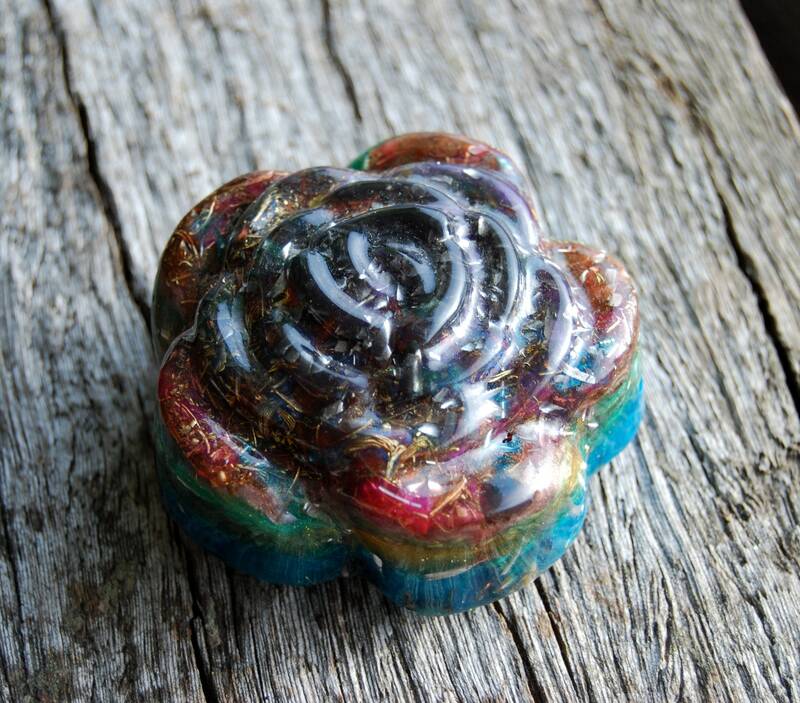 This is a unique Orgonite® orgone generator® tower buster in the shape of a rose consisting of four terminated clear quartz crystals in the bottom of this pyramid positioned on all four wind directions for extended energy flow range to all sides. 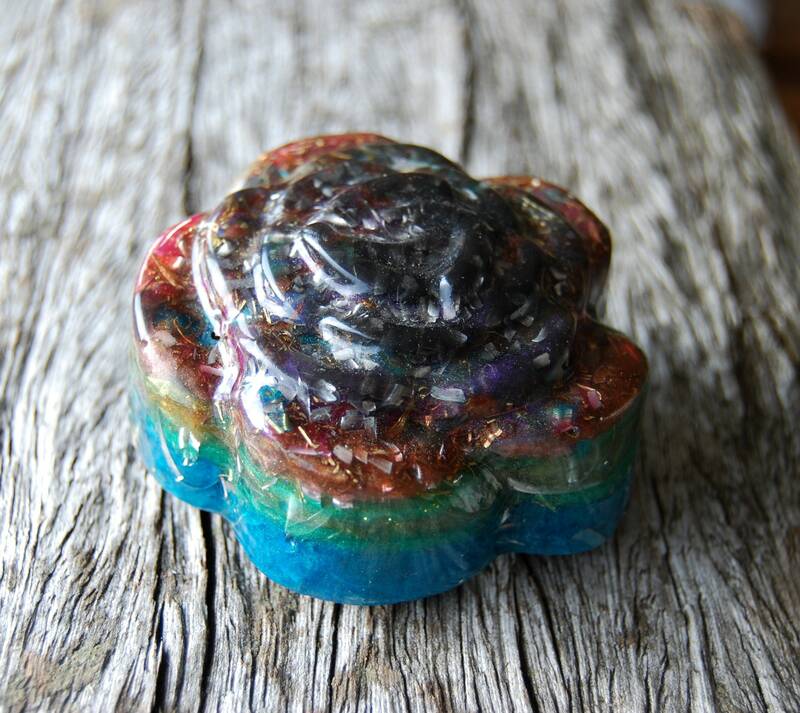 It consists of aluminium, brass, lots of copper and iron shavings and also black Tourmaline (ground excess energy) and Selenite (charge and clean other crystals). Tower busters can be used to improve the energy practically everywhere. 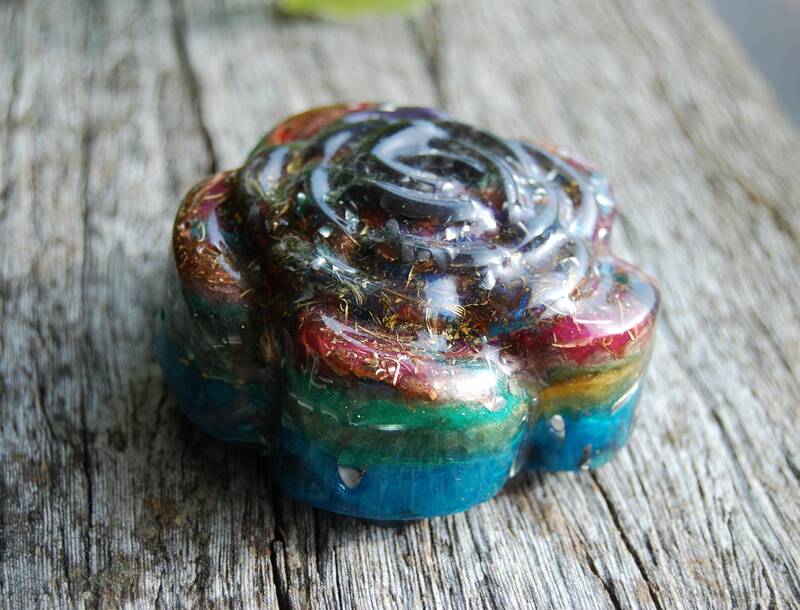 Orgone generators are highly sought-after devices known for their ability to convert negative energy into positive energy and balance the spiritual, emotional and physical body. 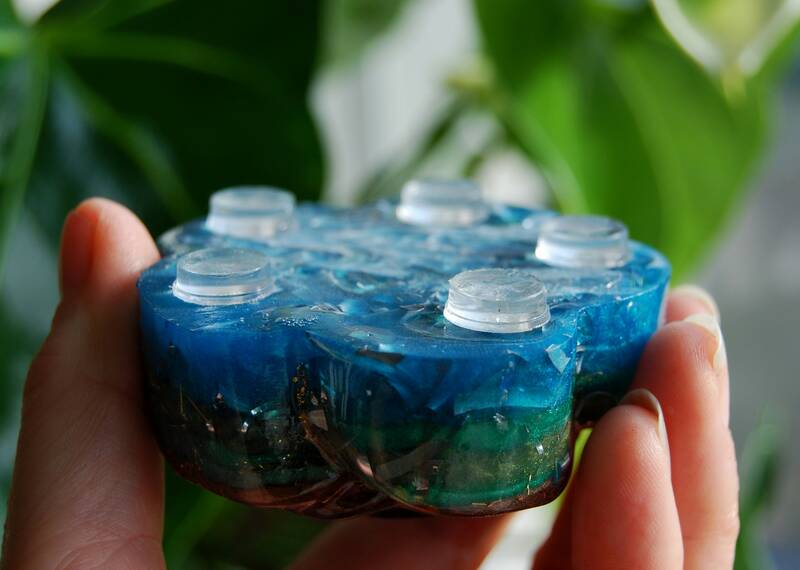 Think of an orgone generator® as a filter for toxic energy in the atmosphere (like positive ions from EMFs). 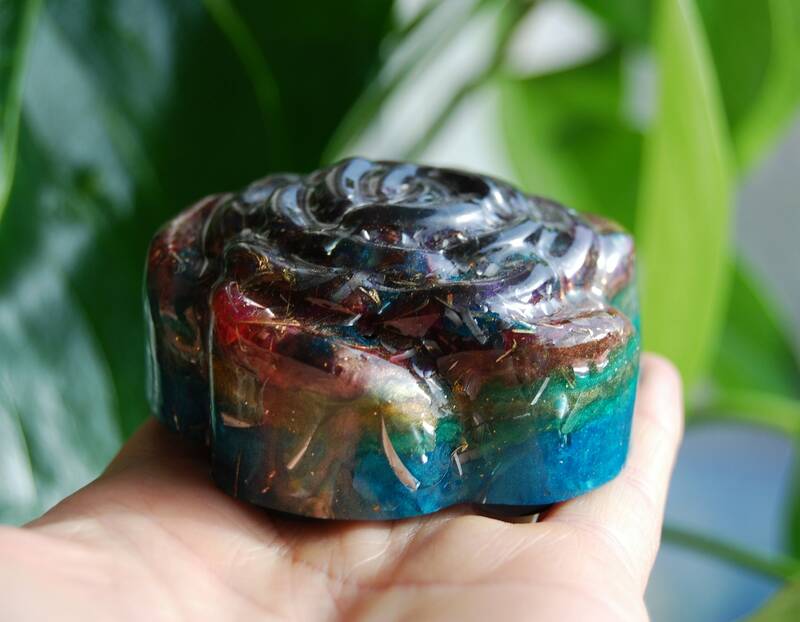 As negative energy moves through the device it’s exposed to electromagnetic friction, an environment created by the mixture of metal shavings and crystals in resin. 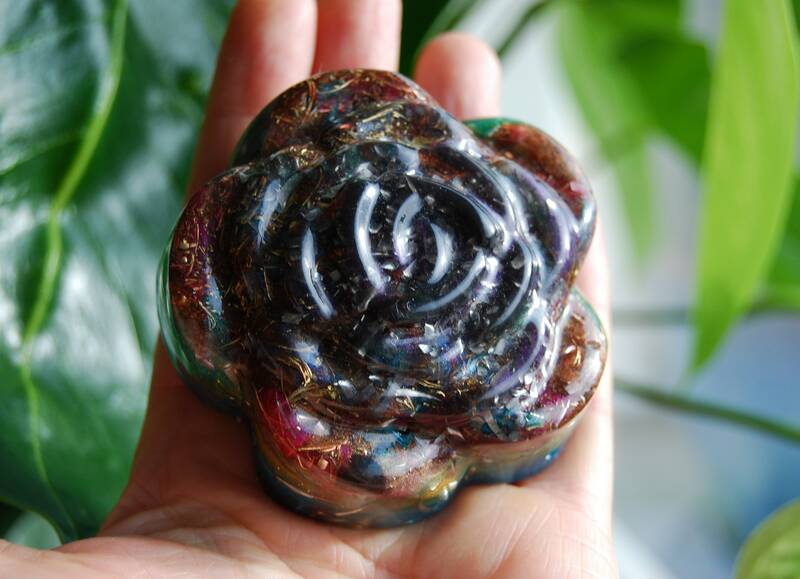 This force ultimately reorganizes the energy into a more harmonious wavelength as it exits the rose generator. This towerbuster consist primarily of concentrated organic matter in the form of resin; inorganic matter in the form of metals; and conductors in the form of one clear ore more clear quartz crystals. The organic resin exerts negative ionic charges and the inorganic metals exert positive ionic charges. 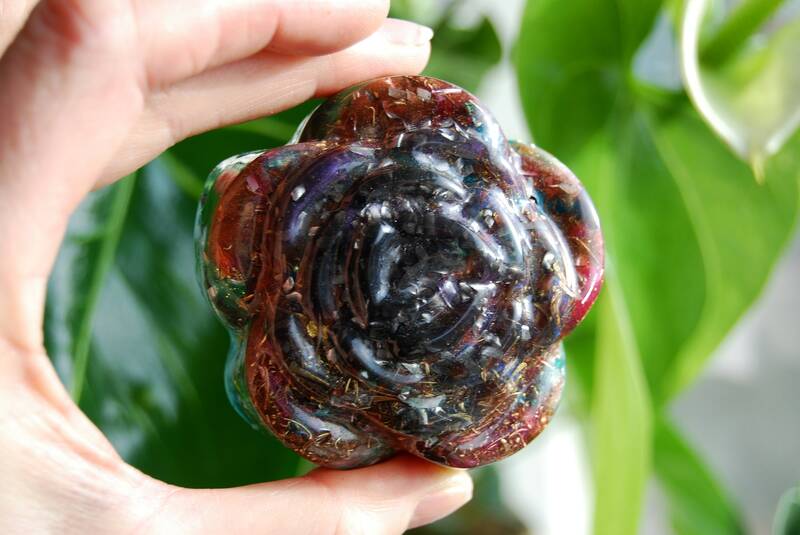 When housed in such close formation, the excitation of these ionic charges act as magnetic energy generators (orgone) - drawing in subtle energies from the environment. In combination with clear quartz crystal(s) and other semi-precious stones, these magnetic energy generator devices continuously transmute (on a quantum level and in elegant scalar resonance) lower incoherent energy drawn in from the environment into higher coherent frequencies inherent in the crystalline signatures of the stones. 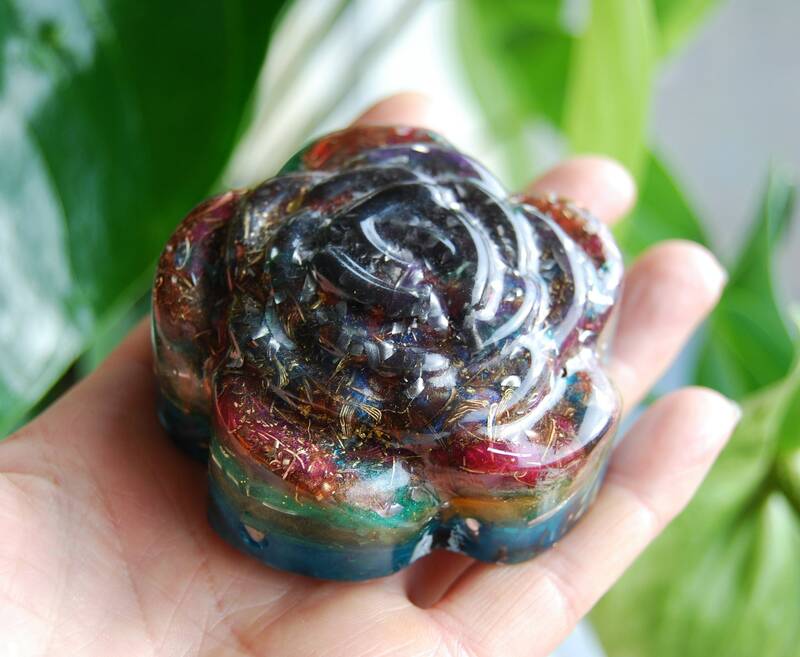 These higher frequencies are continuously generated, transmitting vibrations of harmony & balance out into the environment and into one's energy fields. 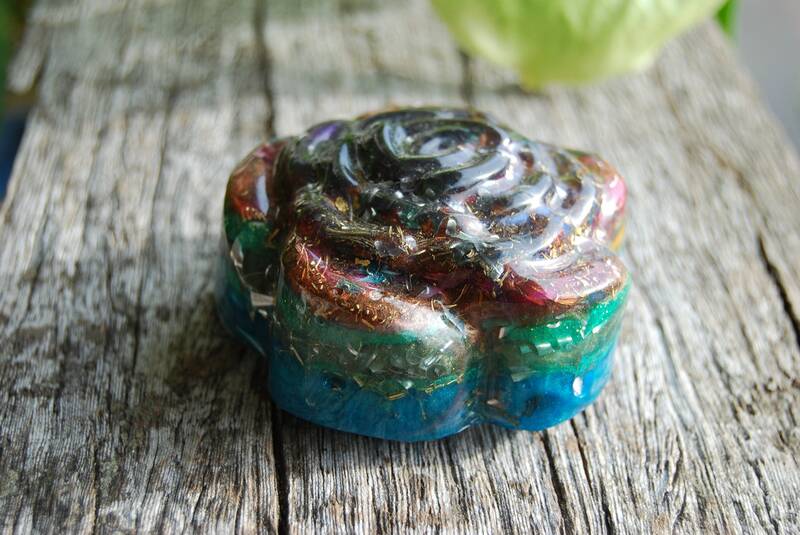 This orgone generator is made with intuition and 💖 and is created with loving intent to transform people’s lives for the better. The edges have been handsanded with fine polishing paper so it smooth. Will be shipped with Trackingnr and you are required to sign for it upon delivery. I use mostly recycled materials for my packaging.